Our Artist – Sloan recently brought home another one of her masterpieces. She (or is it her teacher?) is definitely expressing the best version of her artistic self. The 2-year-old grind is pleasant so far. Sloan keeps learning and talking. Her favorite thing to do currently is sing “Johnny, Johnny,” a song that requires another person to participate. As you can imagine, mommy and daddy take turns performing the duet with our little diva. 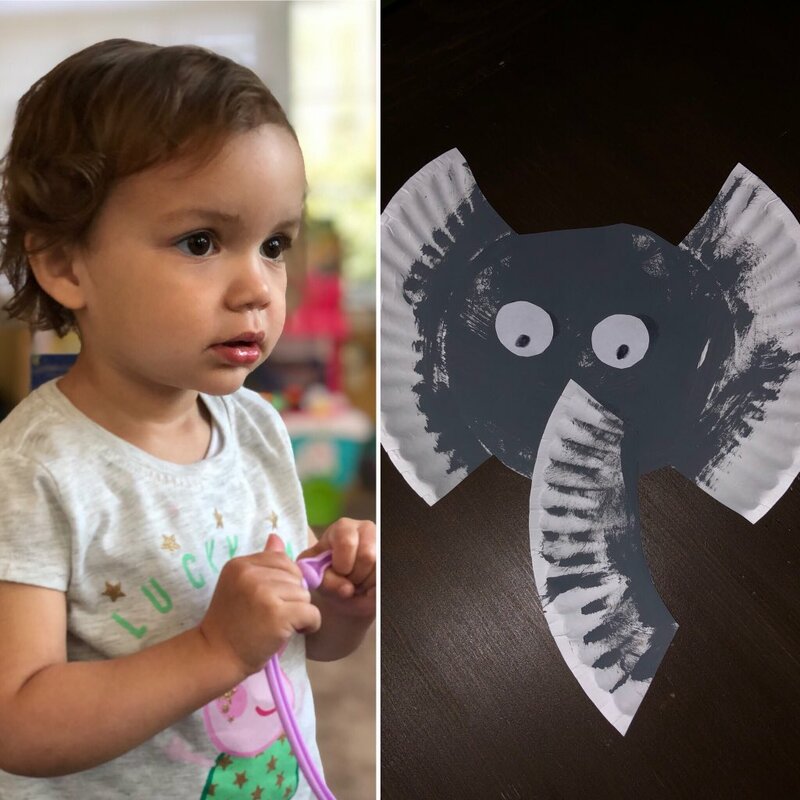 On the left is a photo of Sloan I took today and on the right is her elephant artwork. Settling In – A couple weeks ago, I wrote about how I changed office buildings. Our social media and photography departments moved to Hampton Hall to be with video production, ensuring that our media-based content creators are all under one roof. So far, so good. 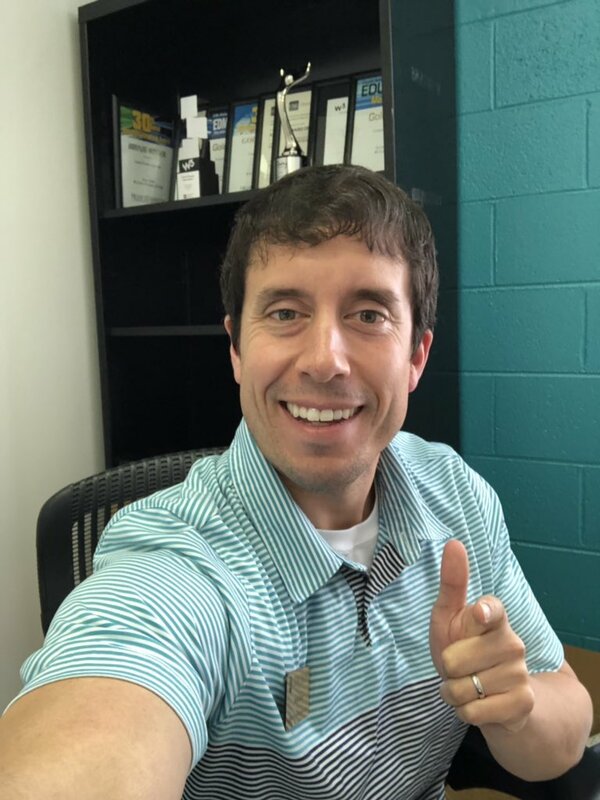 However, I have still not unpacked all my boxes nor put a thing on the walls so I can’t give you a photo that looks much different from the one I shared in the March 21 Thursday Rundown. What I can share, however, is an article written about our move. It comes complete with quotes from our director of photography and myself. Because I haven’t made much progress with my new office, you instead get a selfie with a mostly empty bookshelf. 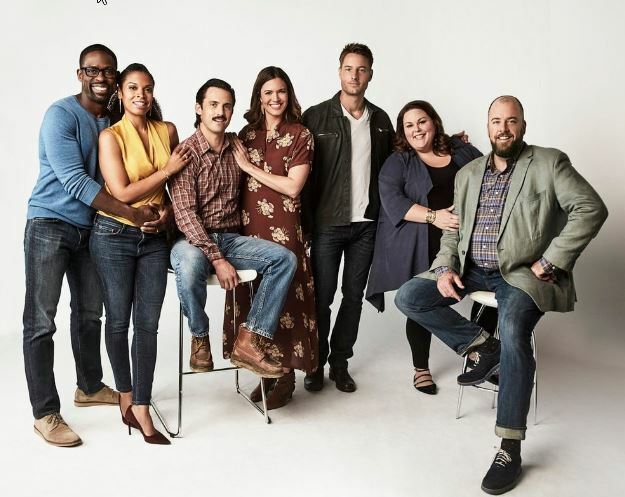 Season 3 of This Is Us – This past Tuesday night, the season finale of “This Is Us” aired. I thought it was one of the better episodes of the season and a fitting way to conclude things until the fall. I believe the series is still very healthy. Throughout this past season, everything seemed fresh and I never thought wow, these writers are really searching for ideas. My favorite episode of the third season was the one that took place in the hospital waiting room for practically the whole show. You could really feel the tension and conflict. Of course we are all now on the edges of our seats for the next several months after Tuesday’s ending, but I guess it gives us something to look forward to. BURRITOS – In terms of food, I would say it was definitely an upgrade when I moved to the South. From the pancake houses to the fast food chicken restaurants to regional dishes such as chicken bog, I love eating in South Carolina! However, the West has one thing on my current home: burritos! Both in Washington and Montana, you will find numerous mom and pop burrito shops that specialize in creating large, delicious mission-style burritos. The eatery I miss the absolute most in Missoula is Taco Del Sol. I have never enjoyed a better burrito than the ones served there. When Sidney and I paid a visit to Montana a couple years ago, you better believe we ate at Taco Del Sol for our first meal. Happy National Burrito Day! 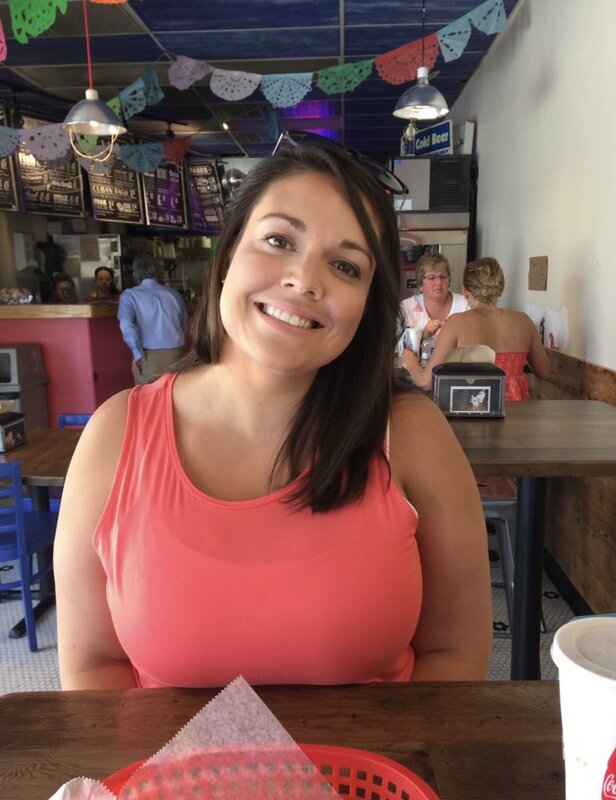 This is Sid at Taco Del Sol in Missoula in July 2017. The Power of FaceTime – Two years ago, during Sloan’s first month of life, I wrote about how comforting it was to FaceTime her after my paternity leave ended. During my lunch break at work, I would Facetime my two favorite girls and get a glimpse of what mommy and baby were doing. Exactly two years since I wrote that post, I am still a big proponent of FaceTime, especially when it comes to letting your daughter see her out-of-town grandparents! Kind of surprisingly, FaceTime hasn’t evolved much over the past 24 months; wonder if anything will be in store over the next 24? 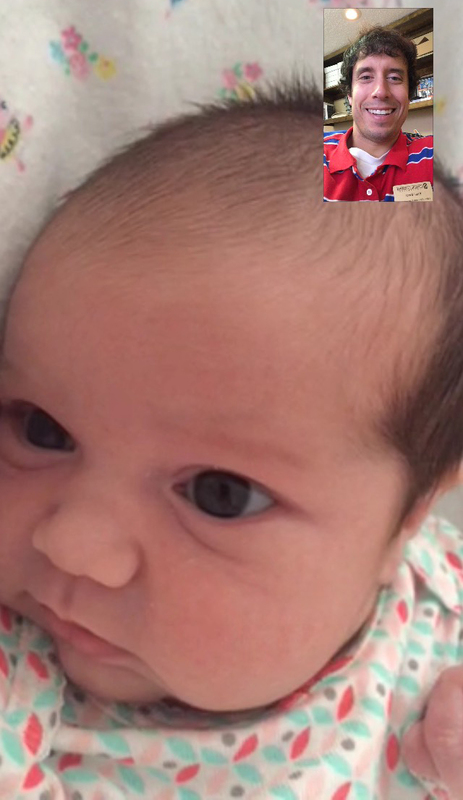 During Sloan’s first month of life, it was especially nice to be able to FaceTime with her. I want to wish everyone a great weekend. Since Gonzaga was eliminated on Saturday, I don’t have too much of an interest in the Final Four. However, if you have a dog (obviously not a bulldog) in the fight, I wish your team good luck. Don’t Blink.